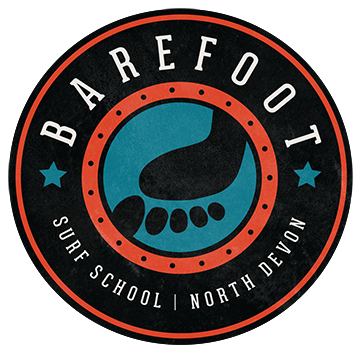 Our Lessons take place at Putsborough Sands, the safest and best learner beach in North Devon. Quieter and more spacious than the busy beaches of Croyde and Woolacombe, yet just a mile or two away. The 2 hour surf sessions cover the essential safety factors and take you carefully, step by step through the skills, building confidence, and showing you how to enjoy the waves. Culminating in smooth ‘pop-ups’ - getting you to your feet, using a technique developed to suit you, and riding the wave in… standing! We have built a reputation that we are very proud of, for patience and treating every customer as an individual. We try desperately to avoid a ‘one size fits all’ approach, and make every lesson a really fun session. We specialise in beginners. Meeting up 10 minutes before (to find a perfectly fitting wetsuit) at the bottom right hand side corner of the car park at Putsborough (look out for our black VW van and trailer! ), we take our group down the beach and find a quiet area to run through everything... and get Surfing! Our price covers tuition, board and wetsuit hire.